Rohit surpassed Tendulkar as the second-highest six-hitter for India in ODIs. 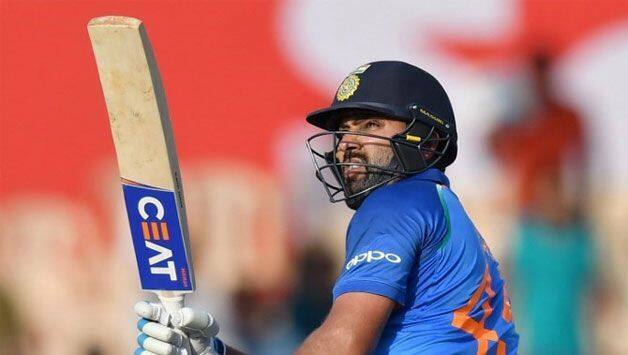 Rohit Sharma notched up yet another batting milestone on Monday when he surpassed Sachin Tendulkar as the second-highest six-hitter for India in ODIs. 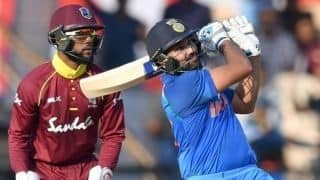 Rohit achieved it during his knock of 162 in the 4th ODI against West Indies at the Brabourne Stadium as piled up a mammoth 377 for 5 after Virat Kohli won the toss and opted to bat. Prior to the start of the match, Rohit was one six (194) behind Tendulkar (195). 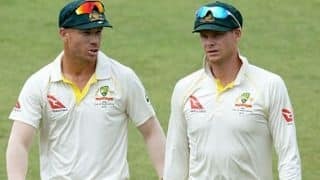 He equalled Tendulkar in the fifth over when he smoked Kemar Roach over mid-wicket and surpassed the cricketing great in the 40th over slamming Keemo Paul over his head. He is now next only to MS Dhoni, who leads the list with 211 sixes. He eventually scored four sixes and 20 boundaries. Rohit scaled a couple of more impressive feats during his innings. His 162 was the seventh time Rohit registered a 150-plus score in the format. This was also the ninth ODI series in a row where Rohit has scored a hundred.